Approximately 50 buttons. 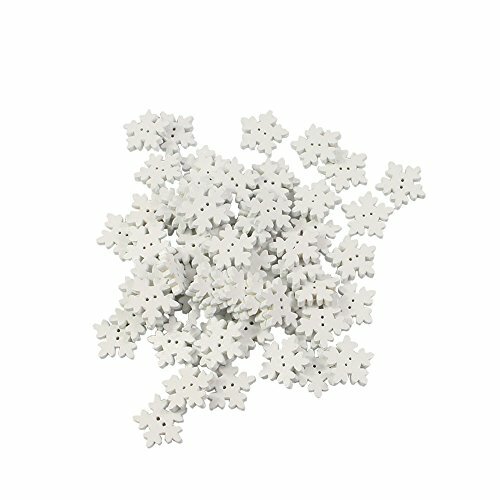 Use on any sewing, knitting, general craft or paper craft project. 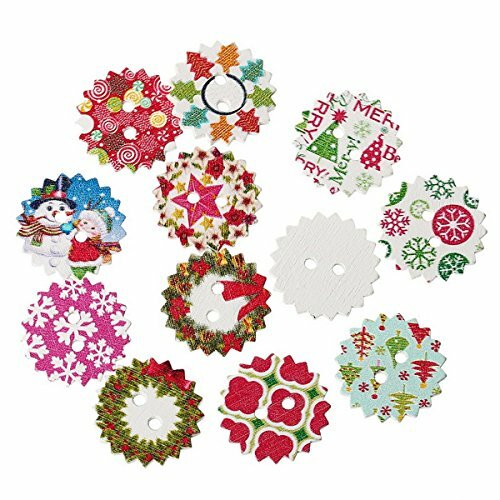 Perfect for adding that personal touch to scrapbook pages, greeting cards, garments, mixed media and home décor projects. 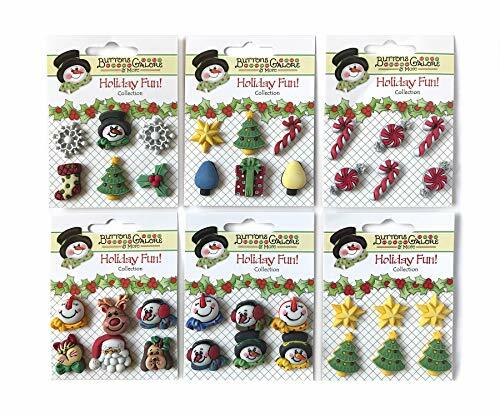 These buttons can be glued or sewn on to almost any surface, including wood, metal, paper, felt, fabric and much more. 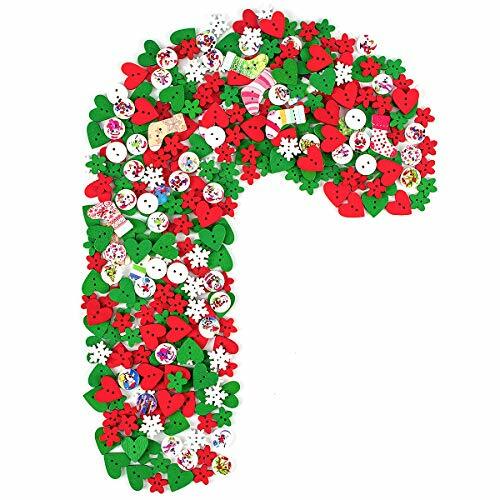 The picture is a good representation of what you will received but assortments will vary. These very detailed, high quality, hand painted and hand dyed buttons will help make all of your craft projects special. 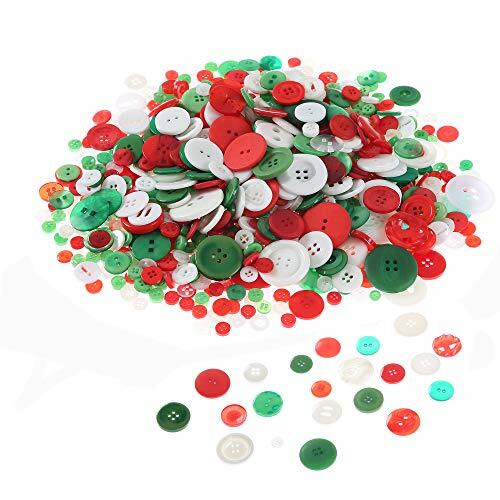 Resin buttons: Buttons are in good quality and features sturdy, anti-fade, can be easily attached by glue, tape and thread, serves you for a long time. 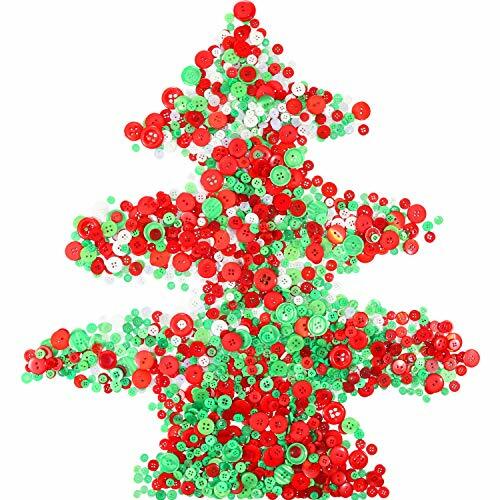 Optional colors: We provide you different color choices, here is red, green, black and mixed colors (includes red, green, blue, pink, white and so on) for you. 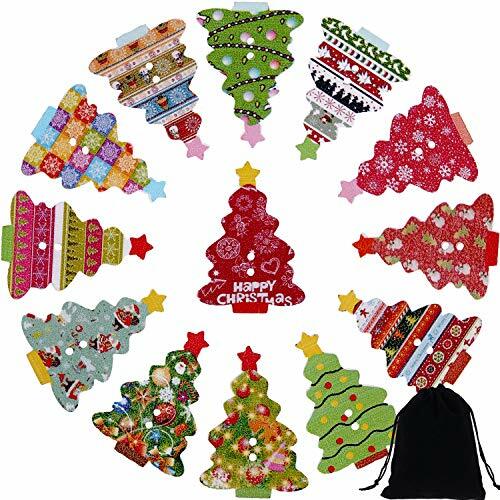 For daily usages: Suitable for crafts and other festive crafts, scrap-booking, card making, button art, or sew them on coats, jeans, jackets and etc. 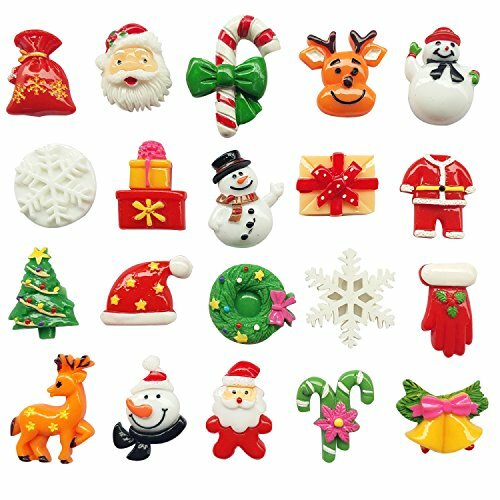 Specifications: Size: 0.7 cm/ 0.28 inch to 2.5 cm/ 1 inch Styles: buttons with 2 holes, buttons with 4 holes Weight: approx. 300 g Package includes: Approx. 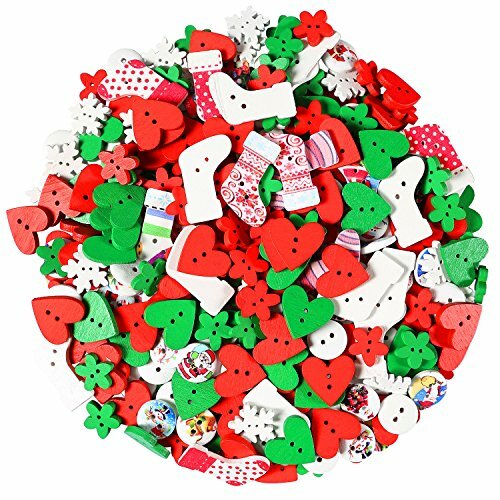 1000 pieces of buttons Warm note: Small parts, please keep them away from children and pets. Please note that the quantity of small buttons is more than large buttons. 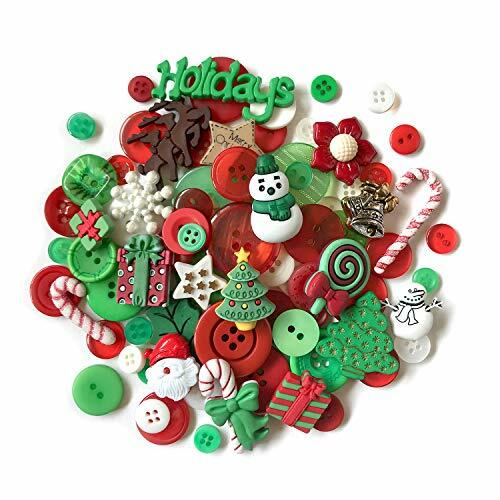 These buttons are in assorted colors and sizes in random delivery.